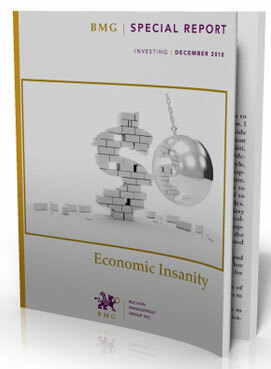 This compelling yet easy-to-read 30-page Special Report delves deep into the biggest issue facing investors today. If you're an investor, "How to Protect Your Portfolio from the Economic Insanity" is essential reading. 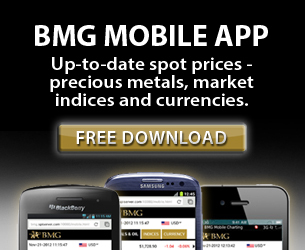 This 10,000 word BMG Special Report offers a unique perspective on the growing problem of global debt, and why the short-term thinking that pervades the corridors of the central banks is setting the stage for a wrenching period of currency devaluation, portfolio destruction and high inflation. "How to Protect your Portfolio From the Economic Insanity" will inform you, entertain you and make you rethink everything you know about investing. And best of all, it's free! 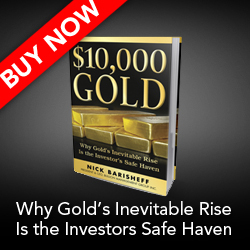 In this report, Nick Barisheff, President and CEO of Bullion Management Group Inc, provides a comprehensive look at the economic insanity (what Barisheff calls "the baffling policy decisions of our monetary authorities") driving investors away from paper assets to the safety of tangible assets such as precious metals. To make the most informed choice about your investments, you need to pull back the global financial curtain and become aware of what is really going on in the economy. If the health of your portfolio and the state of your wealth are important to you, this revealing and comprehensive 10,000 word report is your must-have guide.